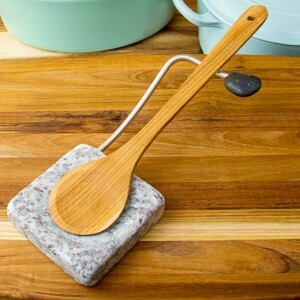 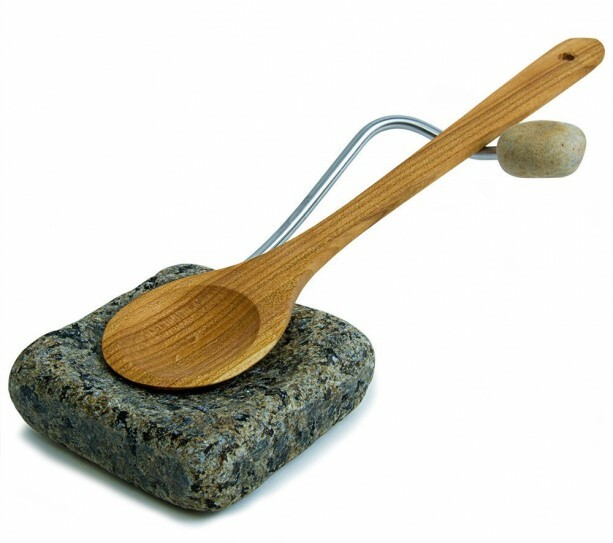 Nestle Granite Utensil Rest Nestle, our modern granite spoon rest, has a minimalist style in harmony with its practical, essential function. 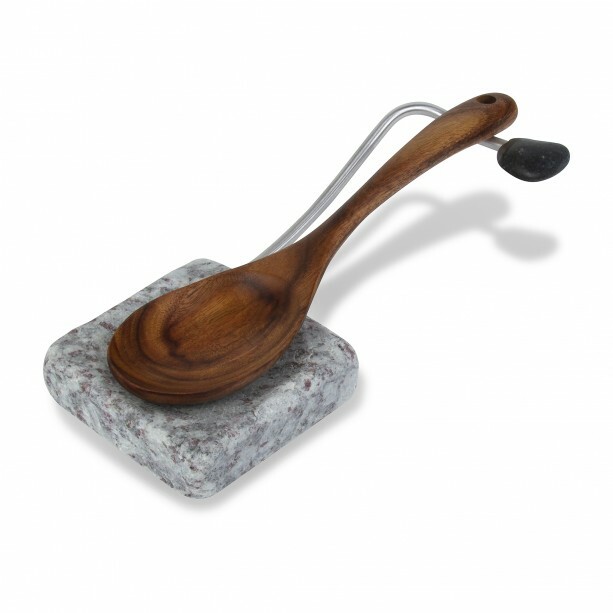 We hand carve reclaimed granite and finish it with a special process that smooths the rough edges. 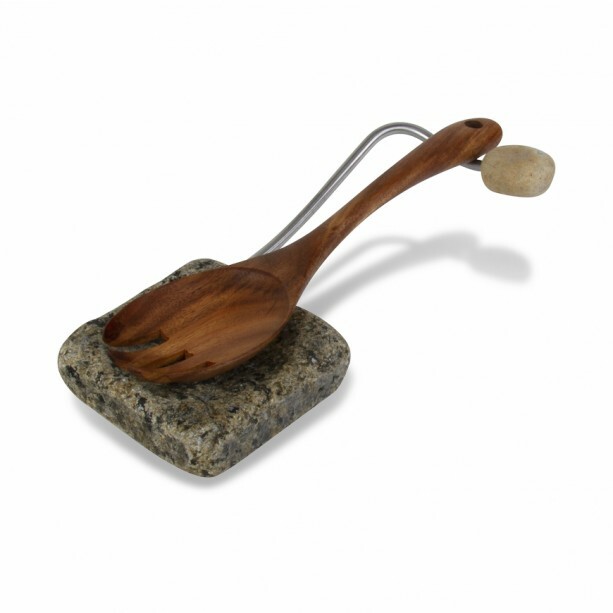 Selected granite pieces and sea stones are unique, making each Nestle one of a kind. 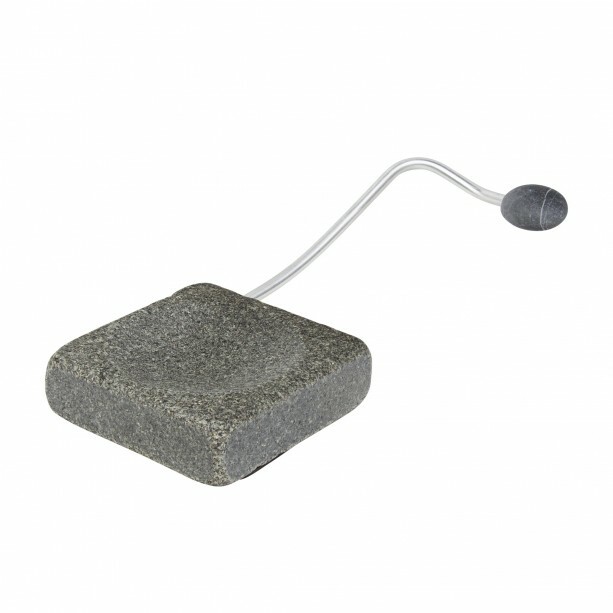 The brushed aluminum handle rest is elevated so all drips and drops are neatly contained in the smooth cove. 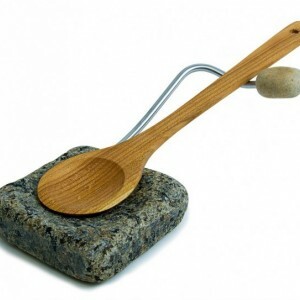 The shape and stance are well suited to many utensils, including spoons, spatulas, whisks, and ladles. 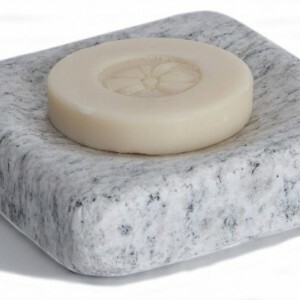 Sturdy granite is the ideal material – stable and safe near hot surfaces, and easy to clean. Each has soft feet to protect your surfaces and is finished with a hand-picked beach stone for a dash of panache.